Wall sconces for plants are perfect for office and lobby areas where floor space is limited or where your design calls for splashes of life in your vertical spaces. 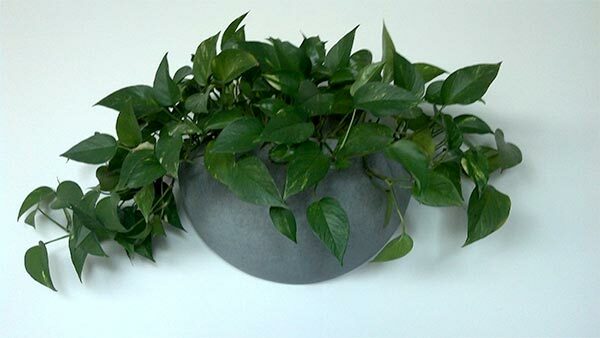 Wall sconce planters are in reality a smaller version of our living green wall planters. Our wall sconce planters are 100% waterproof to protect your walls and can be painted to match your decor colors. Give us a call today to bring life to your vertical spaces with Plant Friends Wall sconce planters. This entry was posted in Living Walls and tagged green buildings, sconce planters, wall planters .